Denomination : Bronze Tetradrachm. 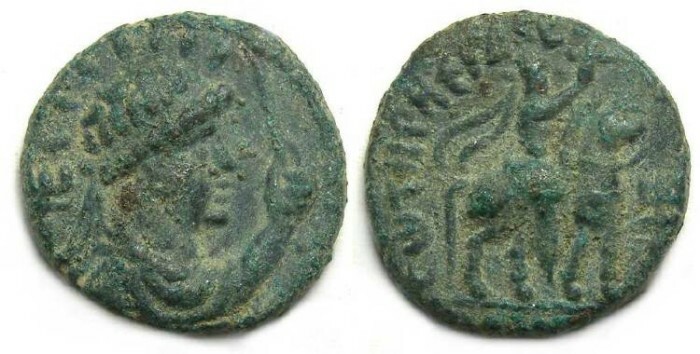 Mint : Taxila Province. Size : 20.5 X 21.1 mm. Weight : 8.54 grams. Reference Mitchiner Ancient - 2928-2943. Grade : gVF, green patination. Obverse : Head of Soter Megas right, holding a baton, and with rays above. Reverse : King on horseback with inscriptions around, and a mint control mark in the right field.